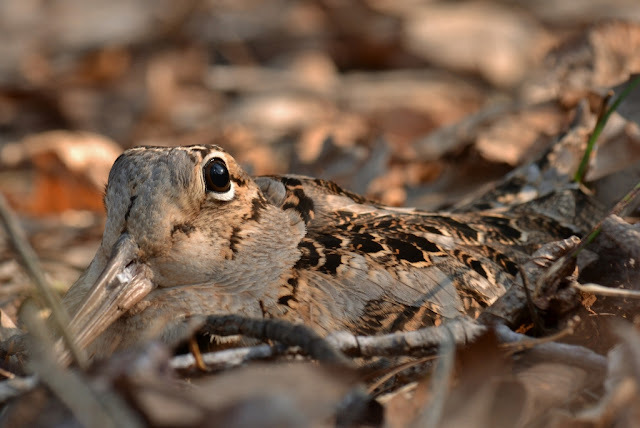 A Woodcock is sitting on her nest. Can you spot her? Woodcocks are well-camouflaged and they seem to know it. This Woodcock sat on her nest and didn't blink an eye while I approached to within a few feet of her to take these pictures. 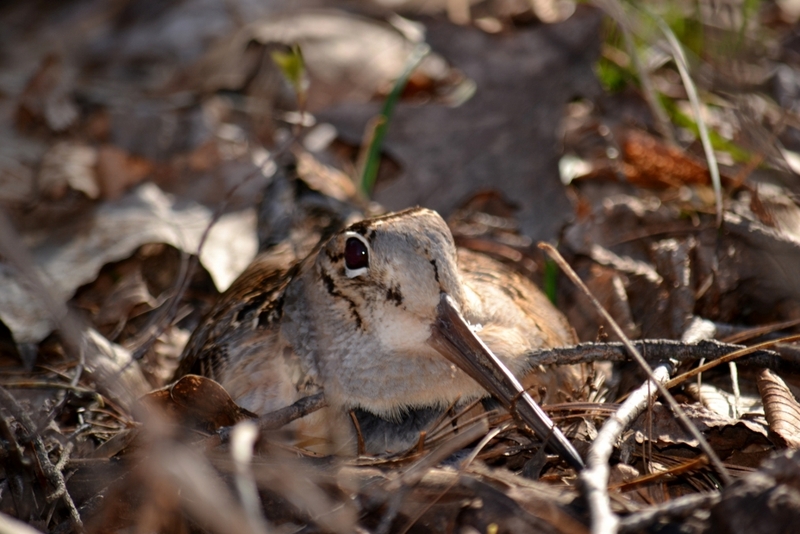 In fact, I was almost stepping on the Woodcock before she suddenly exploded from the leaves and flew away for awhile. The Woodcock's nest contained four speckled eggs the color of dead leaves. 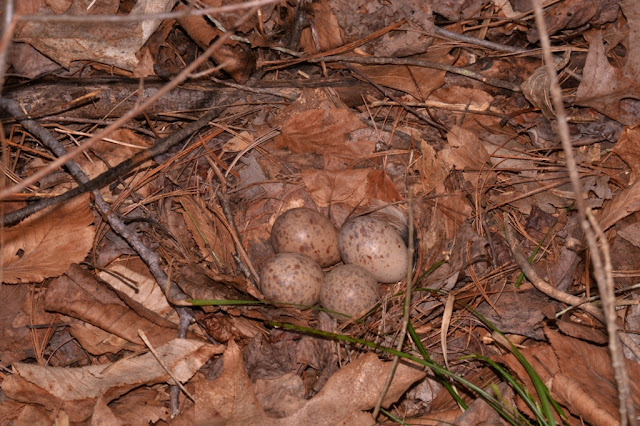 The eggs were camouflaged with a variety of different colored splotches. 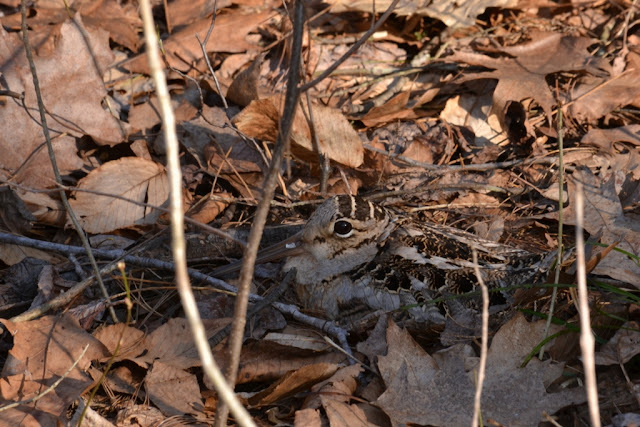 The color scheme of the eggs was just right to help the eggs blend into the surrounding leaf litter. I took a video of a Woodcock while it was walking along on the forest floor probing the ground for things to eat. Toward the end of the video, notice the odd way the Woodcock is bobbing up and down... this rhythmic bobbing is what I call the "Woodcock dance". 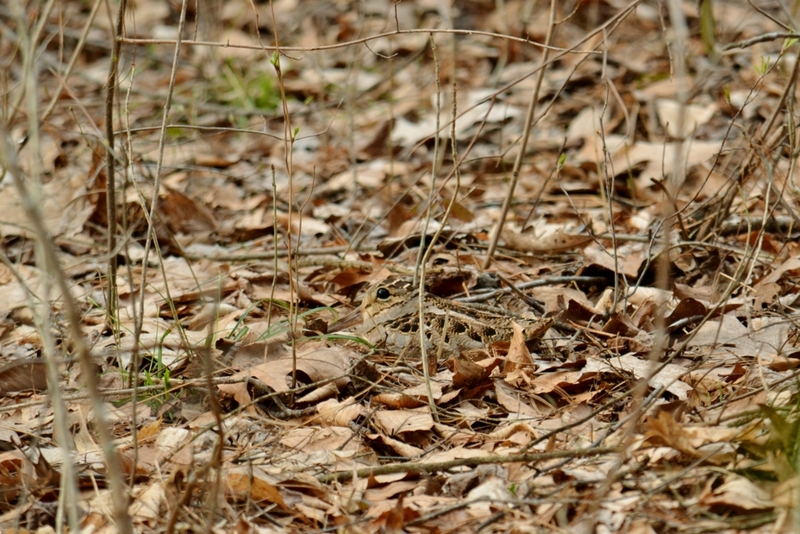 As you can see from the video, the Woodcock is a stocky, short bird with a long bill. 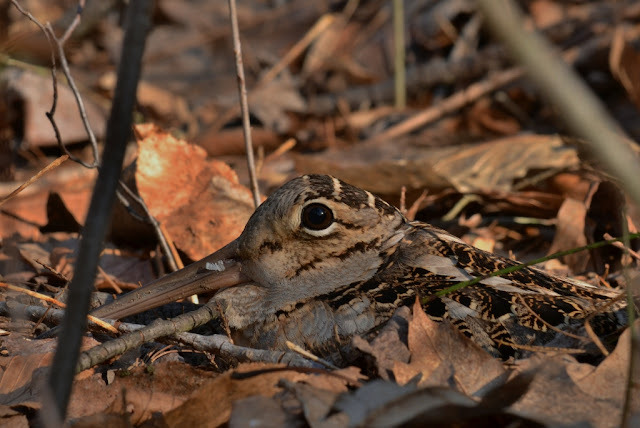 I'm impressed with the Woodcock's ability to locate its food by poking its bill into the ground. Shortly after I accidentally scared her from her nest, she came back even though she knew I was nearby (waiting to take some more photos). She approached cautiously and she did it as something camouflaged would.... she dashed a few feet and then froze, then dashed a few more feet and froze again. 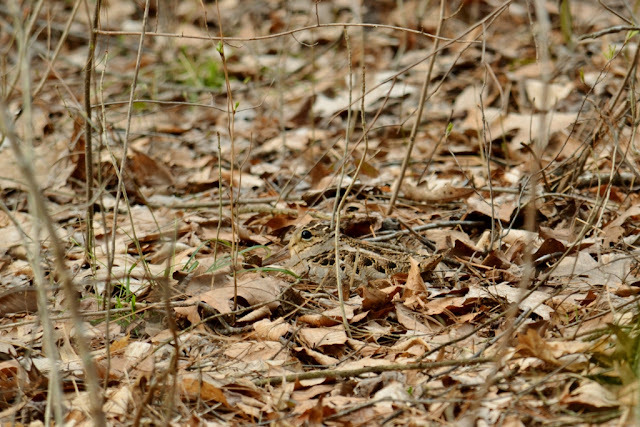 With this method of approach, the Woodcock was hard to spot even though I was watching her carefully. 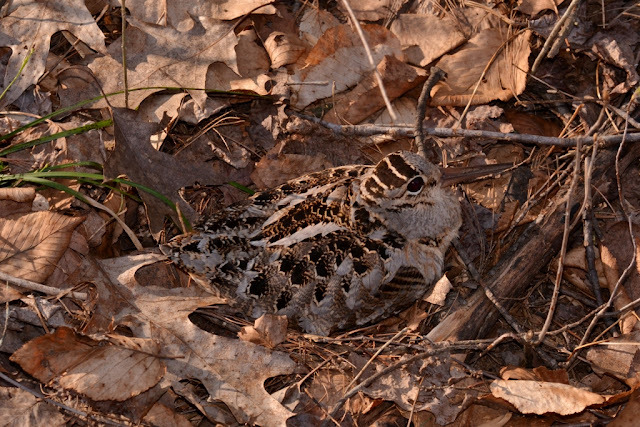 Here the Woodcock is back on her nest trying to blend in to her surroundings. Personally, I think her white eye-liner blows her cover. Dana, I had to go back to look at the original photo. Just amazing how hidden that bird was.